Articulture supports the development of innovative, high quality outdoor arts and diverse engaged audiences in Wales. Fostering a community of collaborators from a wide-range of arts and non-arts sectors makes the creation and showcasing of outdoor arts possible. This includes offering a wide range of networking and development opportunities. 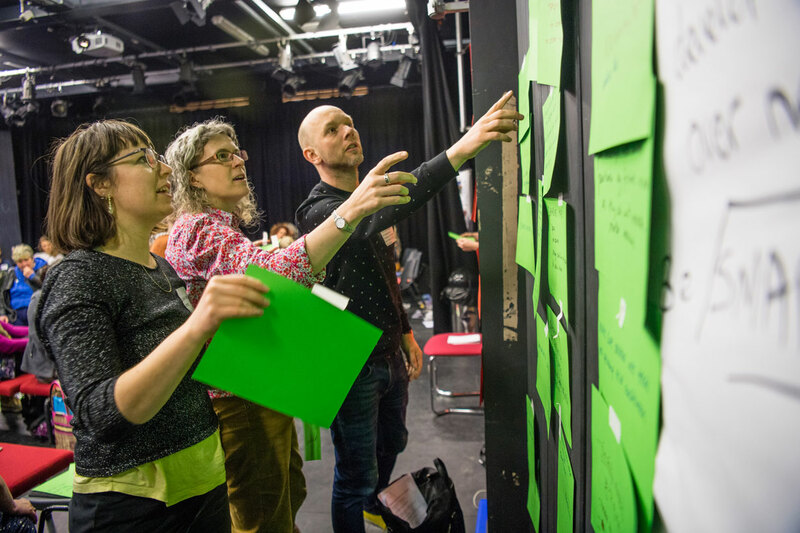 We work alongside artists at varying stages of their career to create new work for audiences in Wales and beyond. Our focus is to increase and diversify the work being created, the pool of artists making this work and the audiences experiencing it. We engage with national and international partners to provide platforms for Welsh artists. Our priority is to serve Welsh audiences, however we also recognise the importance of raising profile beyond Wales in order to achieve sustainable careers for artists living and working here. 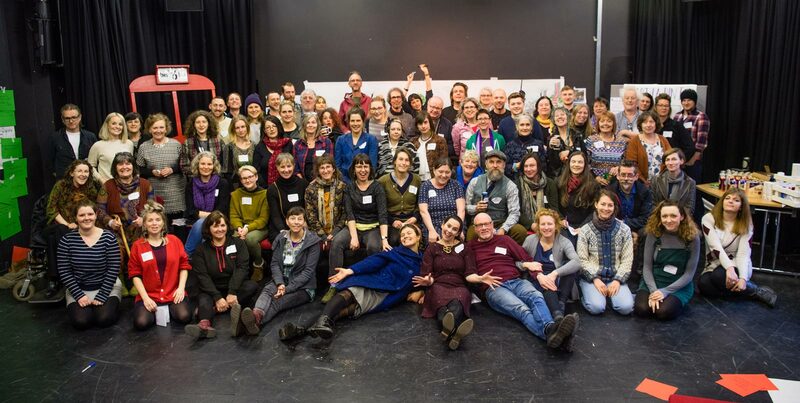 We are motivated by the belief that outdoor arts has a unique and powerful ability to encourage wide spread participation and mutually beneficial partnerships across all sectors of society, that help develop more sustainable communities in Wales. We are a team with a long-standing passion for and experience in outdoor arts. We listen, connect and facilitate to bring about long-term change. Working around our kitchen table in rural Mid Wales we understand first-hand the challenges of making work in Wales, and this informs the way we work – flexibly and collaboratively, with the whole of Wales in mind. Articulture is an active member of key international outdoor arts networks including the European Circus and Street arts network, Circostrada, as well as Outdoor Arts UK and the National Association of Street Artists.